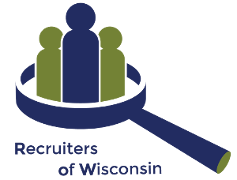 BYO Breakfast WHERE: Blues Egg – 317 N 76th St, Milwaukee, WI WHEN: 9:00am on the 3rd Tuesday January 16th, February 20th, and March 20th in 2018 Enjoy a great breakfast while gaining insight for your Recruiting desk as you discuss current events and business activities with other Wisconsin area Recruiters. Thanks, Derek Deprey, for giving the ROW November event attendees the gears for shifting from Frustrated to Fulfilled! See you all in a couple of months at our Spring National Speaker event! My Resume’s in the “Black hole!” – Ask the Expert!